In the eyes of Japanese fans, music venues are special places that are considered as milestones in the career of every artist. This guide will describe all of these venues under every aspect, featuring all the informations you need to reach them in case you’re attending a concert, or just want to visit these symbolic places from the outside. You will also find other places around them who are definitely worth visiting from a tourist standpoint, so why not go take a look? The one and the only, the second biggest venue in all Japan, and the first in order of “importance”. The colossal Tokyo Dome is the most significant venue an artist could ever perform in, and a real symbol of an artist’s successful career: you know you’re one of the most successful and influent acts of the Japanese music industry when you hit the stage of the biggest Dome of Japan. Located in the beautiful Tokyo Dome City complex (near the JR Suidobashi Station), this huge indoor stadium is composed of 41 gates and 55.000 (up until 70,000) internal seats, and it’s used for both sports events and concerts. The large surrounding area features an amusement park, a huge spa center, and several shops and restaurants where to chill right before (or after) a show, making it also a great meeting point for all the fans attending a concert. You could also just enjoy the waiting in the huge square right in front of the venue with the other fans, which is always a cool experience. Inside, the Tokyo Dome is just plain stunning: from a personal experience, I can assure you that your heart will skip a beat once you get inside the venue: seeing 55.000 fans with the same passion as yours jumping and screaming will be a breathtaking and beautiful sight… you can be sure it’s gonna be an unforgettable night. And it’s not over here: the dimensions of this venue unchain the creativity of the bands and their staff in creating complex and unique stages, where impressive and large scale performances supported by top-notch technology make all the concerts inside the Dome a unique and unrepeatable experience. 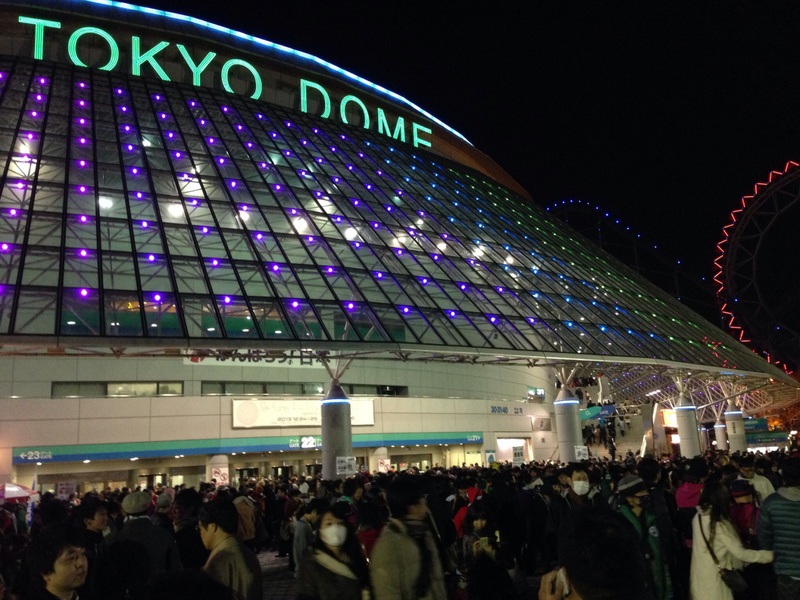 If you have the chance to attend a Tokyo Dome show, don’t even think about it… go! How to reach it: Reaching Tokyo Dome is really simple if you’re hanging around the central Yamanote Line loop area. – From the Shinjuku JR Station, take the JR Chuo/Sobu Line (Orange Train) from Platform 13, and after 12 minutes you’ll reach the Suidobashi JR Station where Tokyo Dome City is located (you’ll probably see the Dome from the train right before arriving). Exit the station and take a left, or simply follow the indications: Tokyo Dome is just a two minutes walk from there. – From Shibuya/Harajuku, your best bet is to stop at the JR Yoyogi Station and take the Chuo/Sobu Line from there: You’ll reach the JR Suidobashi Station in 11 minutes. – From the Akihabara JR Station, simply take the Chuo/Sobu Line and stop at Suidobashi JR Station. It’s way closer from this side: only a five minutes ride. – From Tokyo Station, take the Chuo Line Rapid and stop at Ochanomizu. From there, take the Chuo Line and you’ll reach the JR Suidobashi Station in a few minutes. Does this name ring a bell to you? I bet it does! 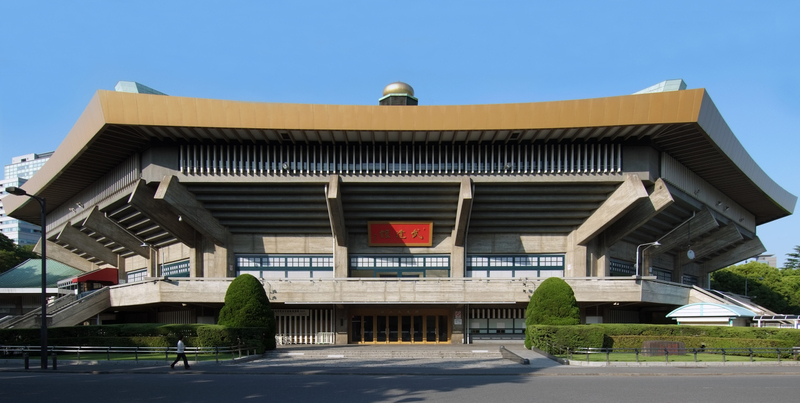 The Nippon Budokan, simply known as Budokan, is an indoor octagonal arena placed in the center of Tokyo, in Kitanomaru Park, not far from Yasukuni Shrine and the National Museum of Modern Art. Built in 1964 for Judo and Martial Arts competitions, with time it also became home to many Japanese and overseas artists. It can hold almost 15.000 people, and despite not being the biggest venue in Japan, it’s still one of the most famous both in Japan and all around the world: from The Beatles (the first rock band to ever perform at this venue), to Bob Dylan, Eric Clapton, Deep Purple, Ozzy Osbourne, Dream Theater, and many more, several successful bands from overseas performed and recorded live shows in this arena. As for Japanese acts, names like Utada Hikaru, Morning Musume, Perfume, AKB48, Dir en grey, BABYMETAL and many more hit the stage of this famous venue more than once in the past, making it a milestone for any Japanese artist. Inside, the venue undoubtedly looks pretty old today (but well maintained), and its particular shape and seat disposition make any concert feel pretty “warm” and close, without the sometimes annoying distance venues like Tokyo Dome have from the farthest seats to the stage. Obviously, if your favorite act is performing at Budokan, you should definitely go: you’ll attend a very important milestone in the history of your beloved favorite artist. How to reach it: The Nippon Budokan is just near the Kudanshita Metro Station, the nearest and most recommended stop to reach the venue easily. 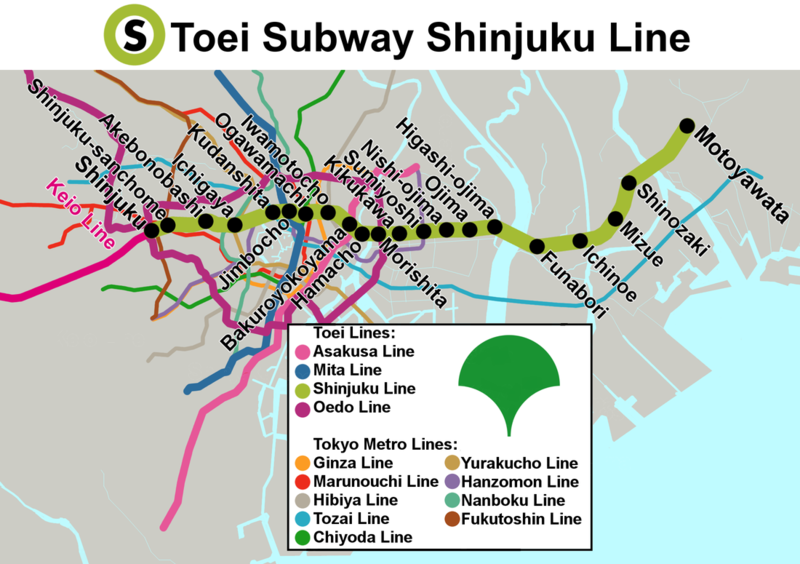 – From the JR Shinjuku Station, take the Toei Shinjuku Metro Line (Green color) and after four stops you’ll reach the Kudanshita Metro Station: the Budokan is just a two minutes walk from it. – From the JR Shibuya Station, take the Tokyo Metro Hanzomon Line (Purple color) and after five stops you’ll reach the Kudanshita Metro Station. – From Akihabara, walk to Iwatomocho Station: Here’s the itinerary. It shouldn’t be too difficult, and it’s actually pretty near. After reaching the Iwatomocho Station, take the Toei Shinjuku Metro Line (Green color) and after three stops you’ll reach the Kudanshita Metro Station. – From the Tokyo Station take the Tokyo Metro Marunochi Line (Red color) and just after one stop you’ll reach the Otemachi Station. From here, take the Tokyo Metro Hanzomon Line and after two stations you’ll reach the Kudanshta Metro Station. 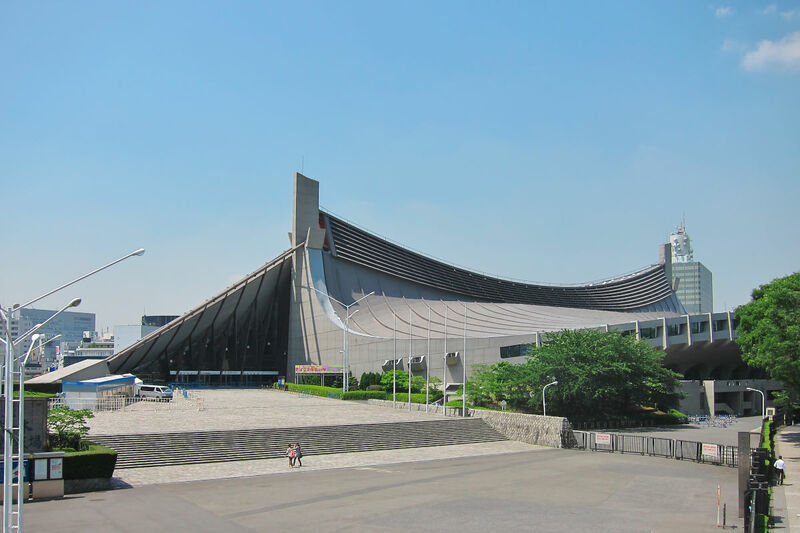 The Yoyogi National Gymnasium is a covered arena built in 1964 for sport competitions. Exactly like the Nippon Budokan, Yoyogi also became one of the main venues for music concerts. Located in the central area of Yoyogi just near the famous park, the venue is immediately recognizable for its particular suspension roof designed by well known architect Kenzo Tange, making it a unique and symbolic venue for many artists in Japan. The venue can hold almost 14,000 people between seats and standing area, and seeing it from the inside is as stunning as seeing it from the outside: it’s just unique. Almost all the biggest artists in Japan include this venue in their Arena tours, and while it may be less known overseas if compared to Budokan, it isn’t less important in Japan. And you know what’s even better? Yoyogi is a beautiful place surrounded by several attractions that are a must visit if you’re visiting Tokyo. Indeed, the Yoyogi National Gymnasium is located just beside the Yoyogi National Park, one of the biggest and most beautiful natural spots in Tokyo, perfect to hang out with friends and relax during the cherry blossom season, where many people gather to enjoy Hanami. Just cross the street, and you’ll find yourself in Harajuku right on the side of the well known Takeshita Street, where you can take a look at everything related to Japanese fashion and its culture. But right before drowning in this amazing street, be sure to visit the beautiful Meijijingu Shrine, which is right in front of the venue on the other side of the street. Oh, and the beautiful Omotesando Street is just a couple of minutes away too! Still not enough? Take a short walk from the venue in the opposite direction to Harajuku, and you’ll reach Shibuya in just a few minutes. This venue is not only symbolic and impressive to see, but it’s also extremely well located and surrounded by great places to visit. If you’re visiting Tokyo, it’s impossible to miss! How to reach it: Even if you don’t want it, you’ll find it. Seriously. 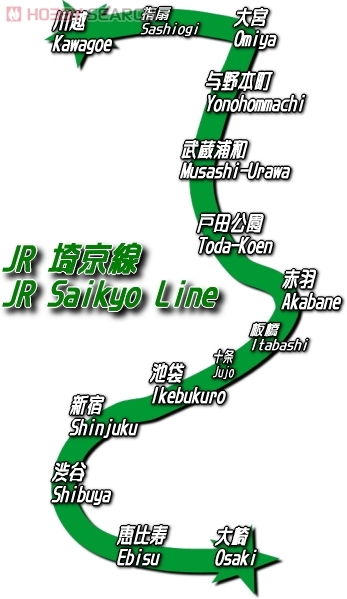 – From JR Shinjuku Station, take the JR Yamanote Line (Green color) and you’ll reach the Yoyogi Station after just one stop. My suggestion is to stop at the following and more comfortable Harajuku Station: Once outside of it, you’ll find yourself in front of Takeshita Street. Turn right and walk straight on for a minute and you’ll find yourself in front of a big crossing where you’ll see the Yoyogi National Gymnasium. Cross the street, and there you are. – From JR Shibuya Station, take the JR Yamanote Line (Green color) and you’ll reach the Harajuku Station after just one stop. If you prefer, the following station is Yoyogi. – From JR Akihabara Station, take the JR Chuo/Sobu Line (Orange color) and you’ll reach the Yoyogi Station in about fifteen minutes. If you want to get to the Harajuku Station, from Yoyogi simply take the JR Yamanote Line and after one stop you’ll be there. – From Tokyo Station, my suggestion is to take the JR Yamanote Line and reach the Akihabara Station in two stops. From there, follow the above indications. Located in the Saitama prefecture (part of the Greater Tokyo Area) the Saitama Super Arena is one of the biggest indoor arenas of Japan. It can welcome up to 37,000 people, and it’s famous both for Japanese and overseas artists. Important acts of the industry that played their concerts here are: Utada Hikaru, Ayumi Hamasaki, Namie Amuro, AKB48, Nightmare, Mr. Children, Momoiro Clover Z, Perfume and many more. Overseas artists like Beyoncè, Green Day, Mariah Carey, Radiohead and Rob Halford also performed and recorded live albums in this venue. Its particular architecture created by Nikken Sekkei is immediately recognizable, and it’s also one of the newest structure, opened in 2000. This arena is really huge, and the many combinations and set ups possible with the seats plan also make it one of the most versatile venues for particular stages: indeed, there’s literally a MOVING BLOCK that can transform the venue from a Stadium into an Arena. Incredible, isn’t it? How to reach it: The city of Saitama, located in its own prefecture, isn’t that near to the central Tokyo area, despite being part of the Greater Tokyo Area, but due to the excellent public service transports, it’s still pretty simple to reach. If you’re around the Ueno area, it’s faster and simpler to depart from the JR Ueno Station. – From JR Shinjuku Station, take the Saikyo Line. After four stops, you’ll reach the Akabane Station. 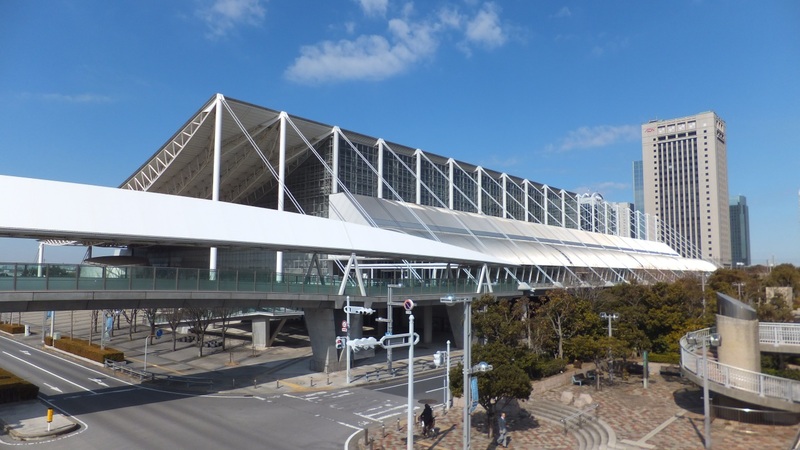 From here, change train and take the JR Utsunomiya Line, and after two stops you’ll reach the Saitama-Shintoshin station: The Saitama Super Arena is just a few minutes walk from here. – From JR Ueno Station, simply take the JR Utsunomiya Line from here, and after four stops (20 minutes circa) you’ll reachthe Saitama-Shintoshin station: The Saitama Super Arena is just a few minutes walk from here. – From Tokyo Station, take the Yamanote Line and reach the near JR Ueno Station: From here, follow the above indications. Located in Chiba in the Tokyo Bay Area, the Makuhari Messe is one of the biggest convention centers of all Japan, and home to many Japanese artists. 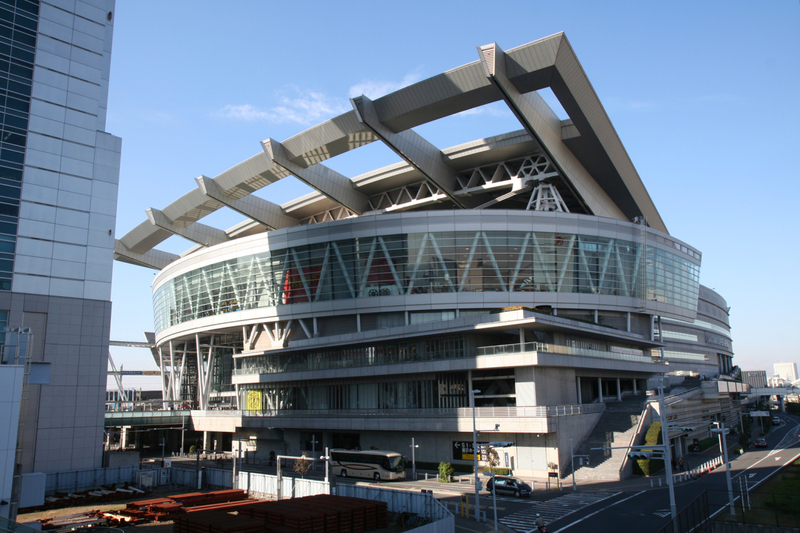 Due to its dimensions and articulation, the venue features different set ups: from 9,000 people to, like happened in 1999 with rock band Glay, more than 200,000 (but that was a very unique case). During live concerts, you can usually see that there are no seats at all, a common setup for artists that attract lots of people to their shows. Bands like Sakanaction and BABYMETAL performed here more than once, and other than being a concert venue, the Makuhari Messe is also very famous for hosting the annual Tokyo Motor Show and Tokyo Games Show. How to reach it: Chiba is located outside Tokyo, in the Bay Area, and it may take a bit to get there (from half an hour to a full hour, depending on where you’re departing). As usual though, it’s really simple to reach. – From Tokyo Station: This is definitely the best and easiest way. Go to Platform 14 and take the JR Keyo Line Rapid and after 13 stops you’ll reach the Kaihin Makuhari Station. Stop here, and follow the indications to reach the close Makuhari Messe. Yokohama, a truly beautiful and relaxing city. 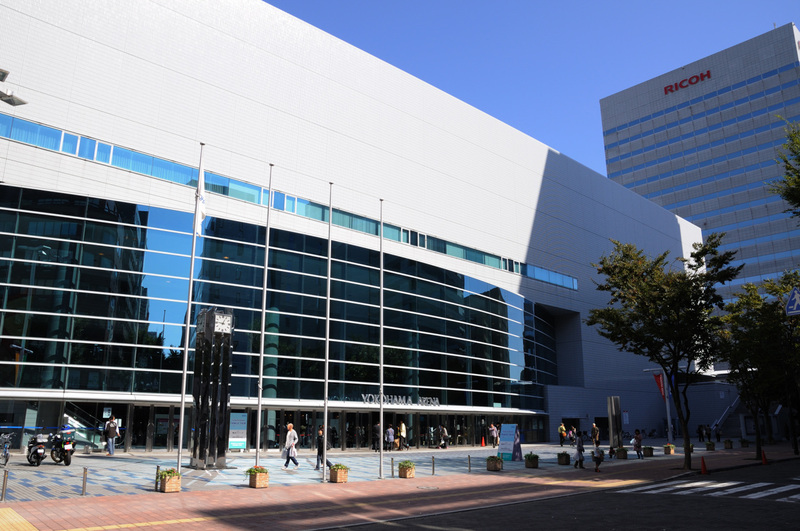 Here you can find one of the most important venues of the country, which is the famous Yokohama Arena. This indoor venue opened in 1989 welcomed many, if not almost all the main and most successful artists of the Japanese Music Industry. Despite not being one of the biggest venues in terms of capability (it can “only” hold 17,000 people), due to its inner dimensions, it’s one of the best when it comes to complex stages and light effects. Many festivals are also hold in this venue, making it one of the most popular indoor arenas of all Japan. Oh, and don’t forget to visit the rest of the city, which is just plain beautiful. How to reach it: You’ll need to reach the near Shin-Yokohama to get to the Yokohama Arena, and the access from Tokyo is really easy and can be reached in reasonable times. Still, your best bet is to depart from the Shinagawa Station, easily reachable through the JR Yamanote Line from any of the main districts of Tokyo. – From JR Shinagawa Station, take the Keihin-Tohoku Line (Blue color), and after seven stops you’l reach the Higashi-Kanagawa Station. Stop here, and take the Yokohama Line (Green color) and after three stops you’ll reach the Shin-Yokohama station: The Yokohama Arena is just five minutes by walking from here. Here it is, the biggest venue of all Japan. Used almost exclusively for sports events, only few artists in the history of Japanese Music performed here, and it’s definitely not something any band out there can claim. With almost 73,000 spots between seats and stands, this Stadium is even bigger than the well known Tokyo Dome. The only artists that performed at the Nissan Stadium are: B’z, X-Japan, AKB48, Momoiro Clover Z and Tohoshinki. Be sure to bring some binoculars if you’re lucky enough to attend a show here! How to reach it: Exactly as the Yokohama Arena, the nearest station to the Nissan Stadium is the Shin-Yokohama station. So the indications are the same, and it’s still recommended to depart from the Shinagawa Station. These were all the most important, biggest and famous venues of Japan. If you have any plan to attend a concert in of these significant venues, you can be sure you’ll have a great time!